Do the most distasteful task first. Tackle your “hot spot,” the place that drives you the most crazy, before you try to clear out anyplace else. Your angst will diminish, and you’ll be much more motivated to continue. Stick to routines. Do things the same way every time: Put your purse in one place, your keys in one place. When you need them, there they’ll be. Store like with like. Having multiple storage locations for supplies such as lightbulbs breeds a chaotic environment. Get it off the floor. The floor is not a storage option. Boxes that reside there permanently create visual clutter. Stow belongings behind cabinet doors to make a room more serene. Make a decision and act on it. 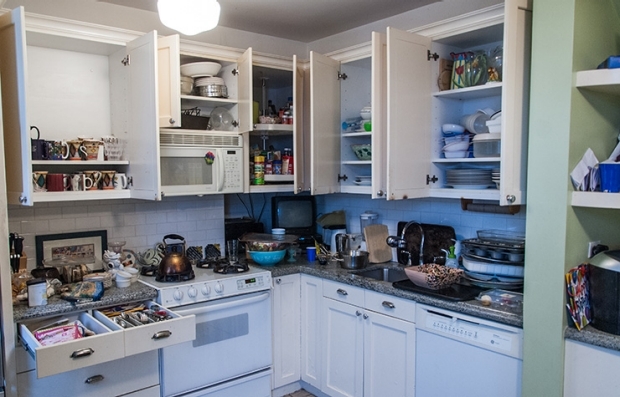 When decluttering, don’t look at something, ponder it and put it in a stack for later. If you hate that lamp, why would you put it in your closet? You hate it, so get rid of it! 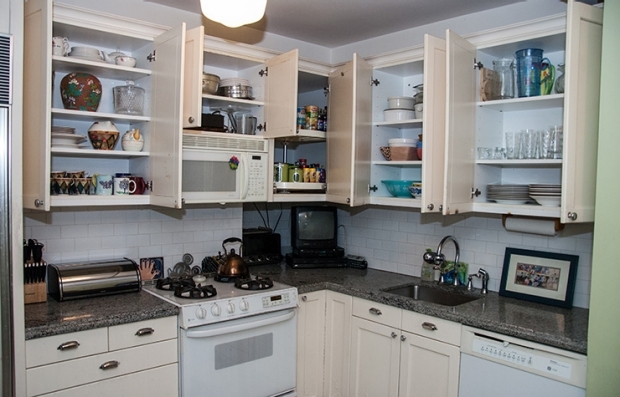 Add shelves in cabinets & inserts in drawers to increase storage space, stack similar items to maximize cabinet space.